One of our biggest growth products is the digipack and we are currently offering fantastic deals on CD replication in 4 Page digipack. The digipack can be relatively expensive for short run orders but at order quantities of 1000 and above this packaging option starts to be competitive with the traditional jewel case album. Our digipacks are printed 4/0 CMYK colour onto high quality 270gsm card. The flat printed card is then assembled and glued with a choice of clear or black CD tray added. Our basic 4 page digipack can accommodate a single CD tray but alternative 6 page or 8 page versions can accommodate 2 or 3 CD trays. This makes the digipack particularly useful for multi CD albums. 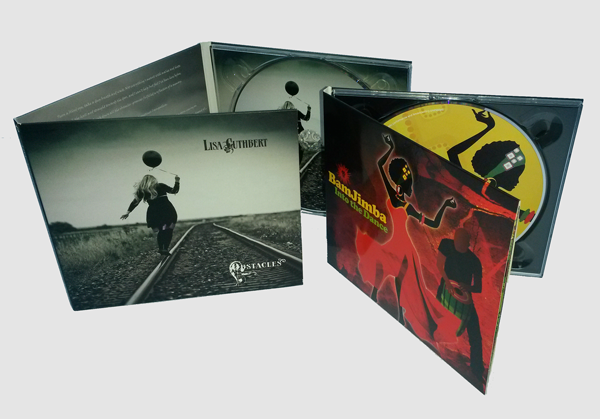 All our CD in digipack replication offers include glass mastering, factory pressed discs, all artwork set up, full colour CMYK offset litho print to disc and packaging, disc inserted to packaging and optional overwrap. Be sure to sign up to our VIP Offers email newsletter for regular updates on digipack special offers and lowest prices. One of our popular packaging options for CD duplication is the clear plastic wallet with flap. Our wallets are high quality 150 micron and totally clear to allow the print on the disc to be visible. This packaging is a great low cost option and provides added protection to the print and record side of the disc. 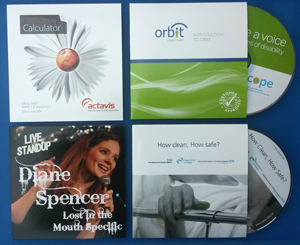 For customers working to a tight finance budget the CD duplication in plastic wallet is the perfect solution. For most orders the plastic wallet works out between 5p and 6p per unit, this includes the disc being packed to the wallet. There is also an option for a 2 page colour booklet or a single page card inlay to be inserted into the plastic wallet. For short run orders the booklet or inlay can work out slightly cheaper than a printed card wallet option. 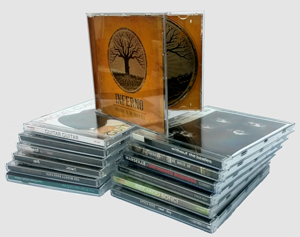 For short run CD duplication requirements Testa-Rossa can offer a range of disc only or disc with packaging solutions. 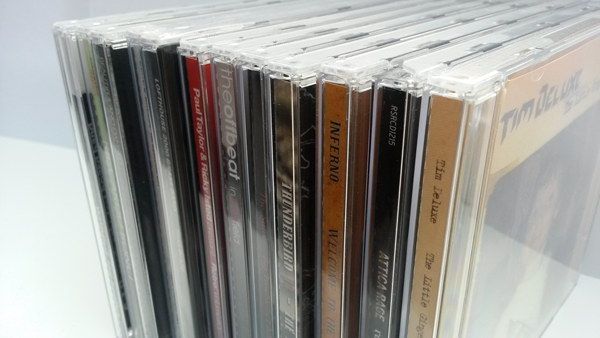 When smaller volumes of CDs are needed short run is the perfect option. These orders are typically 25 to 250 units and can be turned around in very quick time especially for disc only with no packaging. For disc only orders the production can be as fast as just a few hours. These duplicated CD’s can be printed with simple black text, high resolution grayscale or our fantastic quality full colour thermal. Black text gives the cheapest option and the full colour gives the highest presentation appearance. If packaging is required the most popular product for low budget orders is a clear plastic wallet. This enables the on body print of the CD to be visible through the wallet so no need for any extra cost printed paper parts. Another similar option is a clear clam shell style case, again the disc print is visible through the plastic but the case is more solid than a plastic wallet so gives better protection of the disc. 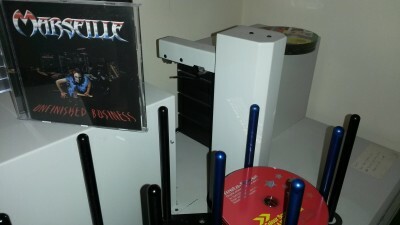 Short run CD duplication is also useful for smaller runs of music albums, the most cost effective being a jewel case with a 4 page front booklet and a rear inlay. The case and paper print is the exact same high quality that we use on our top end replication work so your short runs will look as good as a high street music store CD albums. 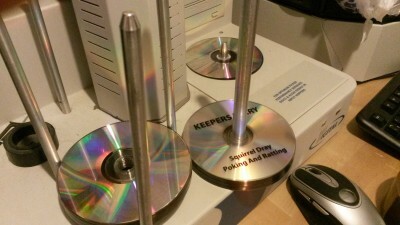 What Is The Cheapest CD Duplication? 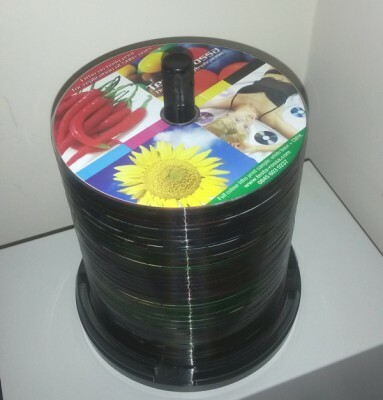 It’s an extremely popular telephone and email enquiry – “What is your cheapest CD Duplication?” The straightforward answer is that our Silver duplicated CD’s with black text print work out the cheapest. 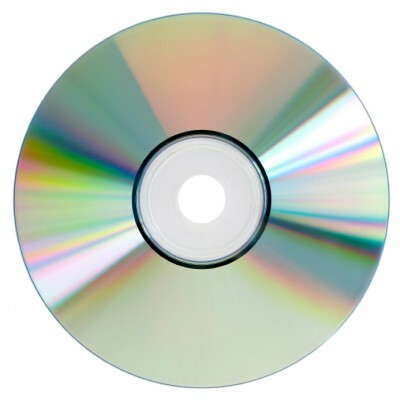 Our cheap CD duplication option uses a high quality CD-R that has a shiny silver print surface and also a silver record surface that resembles a replicated disc. This is a great option for customers working to tight budgets but still requiring a high quality disc and print. The print method used is black thermal text print using our Rimage Prism Plus printers. This method is ideal for bold black text and also suitable for black only logos. If you have a simple logo that works well in black this thermal printing option can produce great results at an affordable price. Our fast turnaround CD duplication services are still available through the Christmas holidays but inevitably leadtimes may be extended by a few days. For customers who left it too late to place replication orders there is still a chance to receive duplicated CD or DVD discs through the festive period. The quickest turnaround is on our duplication with black text thermal print. For this method we use shiny silver top CD-R with a silver underside that visually looks like a replicated disc. Most orders of duplicated CD or DVD can be turned around in 1-3 days dependent on quantities and any packaging requirements. For orders of bulk supply discs the artwork files are generally small enough to send by email. This enables customers to place orders and artwork by email and receive extremely prompt processing of an order. In many situations we can actually start printing the discs the same day order is placed even if we are awaiting a master by post. If you need a fast service through the holidays simply drop us an email or call 01942 895414. Our sales team will be happy to advise on the quickest leadtimes possible for your order. 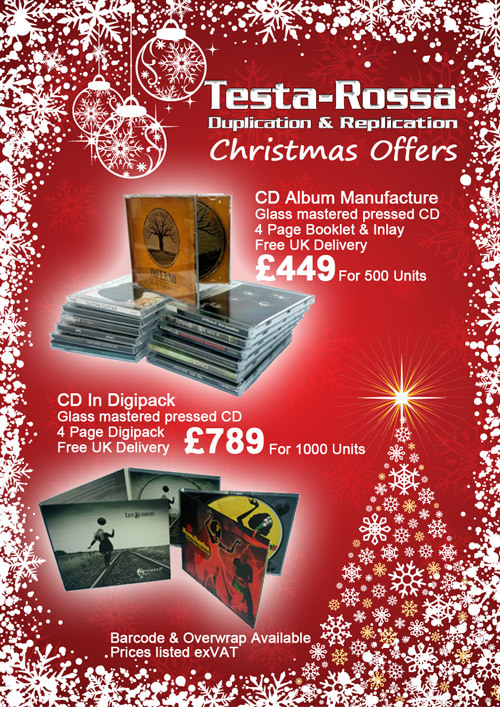 We are still offering some great Christmas offers on our CD replication packages. If you are considering releasing your album in the new year our Christmas offers could be perfect. We are still accepting orders for album manufacture for January delivery until Monday 23rd December. Take advantage of our most popular 4 page booklet album package which we have discounted to just £449+vat for the festive period. Also for artists looking for more bespoke packaging we currently have our Digipack deals available from as little as £789+vat for 1000 units. Whatever product you are looking for, Testa-Rossa offers unbeatable package deals for both CD duplication and CD replication with a great range of print and packaging options. Browse around our website or simply drop us an email and our experienced friendly sales staff will be happy to assist with your project. Need CD replication in time for Christmas? Testa-Rossa are still taking orders for pre-Christmas delivery of our CD and DVD replication orders. Please make sure all orders are submitted by Tuesday Dec 10th if you require delivery in time for Christmas. We are also offering the below discounted offers until Tuesday 10th. Please aim to supply production parts by Monday 9th to allow for order processing and any possible required artwork amendments. Please quote TESXMAS500 to qualify for Christmas offer prices. Simply email your order of 500 units before 6PM today to take full advantage of this great offer. All artwork templates and specifications are available on the Testa-Rossa website. For fast processing of orders we can accept submission of artwork and DDP filesets to our new “Hightail” dropbox link. Any orders placed today will qualify for free pre-Christmas delivery. That’s right £50 off any CD album replication order of 500 units. It seems everyone is getting involved with black Friday offers this year so we thought we would also jump on board. If you are about to place an order for 500 albums then simply do this on Friday 29th and we will knock £50 of the advertised web price. We offer a fantastic range of retail standard album manufacture packages at very reasonable prices. Take advantage of the offer this Friday and still receive your manufactured order before Christmas.